A local think tank has called for prudent fiscal management strategies for dealing with potential economic risks and vulnerabilities in the year ahead as numerous setbacks in the economy may threaten macroeconomic stability. 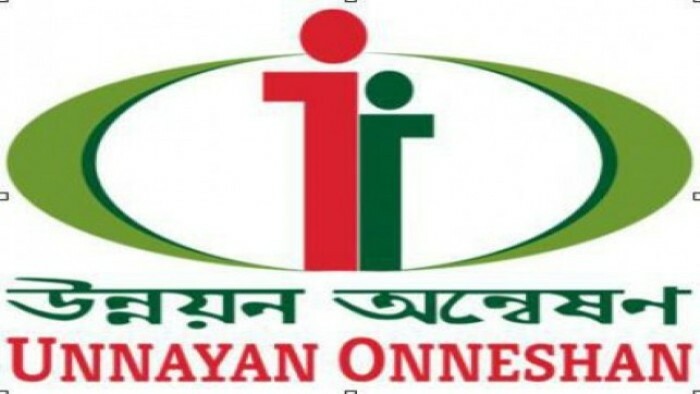 Unnayan Onneshan, an independent multidisciplinary think tank, made the call in its pre-budget issue of Bangladesh Economic Update, reports UNB. The research organisation urges adoption of a medium-term strategy encompassing employment enhancement and skill development programmes, expansion of the tax base, institutional reform in financial sector, increased private investment through improved business confidence, effective harmonisation of macroeconomic policies, and development of a functional social security system. It said that in addition to continual shortfall in revenue targets, overrunning government spending by reason of increased non-development expenditure induced by rising interest payment is likely to exert immense pressure on the fiscal balance. In regard to the current state of fiscal management, the research organization observed that expenditure on non-development heads, especially interest payment, has soared in recent years. It mentioned that together with lethargic performance of agriculture, slow output and employment growth in industrial sector due to poor extent of technology catch-up and absence of diversification may upset economic performance in the country. Pointing to the performance of the real sector, the research organization notes that growth in agriculture and industry has been decelerating of late. Unnayan Onneshan said that sluggish export growth and cut in the inflow of wage earners’ remittance along with high import payment may further contribute to increased pressure on the balance of payment and depreciation of the local currency. Regarding the capital formation and investment the research organisation said that private sector investment remains stagnant while public investment lacks quality resulting in poor management of public money and consequential cost escalation in the projects of public good. In addition, upsurge in illicit capital outflows impedes capital formation in the economy while crisis in the banking sector takes its toll in financial sector, it added. Widening inequality along with decelerated decline in the incidence of poverty in the midst of rising inflation is likely to pose serious challenge to the sustainability of the economic progress. Meanwhile, high youth unemployment may cause the country to fail to capitalize on the once-in-a-lifetime demographic dividend. In addition, lack of employment-oriented education, poor provision of skill development facilities together with inadequate government spending on social sector are deterring human capital formation in the country, Unnayan Onneshan said in its pre-budget economic update. Pointing at banking sector it said that institutional fragility in the banking sector took place due to massive irregularities followed by rise in default loans and resulting capital shortfall. The causes of elapsing prospects are more of institutional. The gradual corrosion of institutions has constrained allocation of resources to be channeled efficiently into productive sectors in order for the economy to get higher returns in terms of expanded productive capacity, Unnayan Onneshan.